As much as you might like to make all of the food for your toddler, there are times when a pouch can come in very handy. 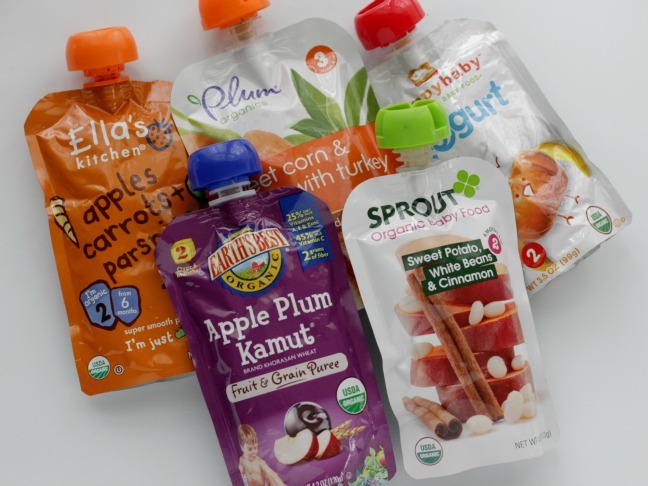 Whether you’re heading out on a road trip, packing lunch for daycare, or just looking for a way to simplify snack time, these picks for toddler pouches should be on your list. There are a ton of pouches on the market, and they range from full meals and produce purees to grain mashups and smoothies. You’ll of course need to decide based on what meal or snack you’re serving, but in general my list is skewed toward mixtures that contain more than just fruit or vegetables or ones with less common ingredients—because pouches with applesauce might be great for a side dish for lunch, but your toddler will likely burn through it if eaten on its own. We mostly used pouches when we were traveling—and of course, one smoothie pouch wound up all over my pants when my girl squeezed it a little bit too hard during an airplane descent. My daughter always got so excited about them since they were fun and easy to eat, and keeping a few on hand was a nice safety net for me. Plus, since toddlers need three meals and two snacks a day, a pouch is an easy way to serve up fruits and veggies for a snack without much effort. A little sweet, a little earthy, this blend is perfect for the cooler months. It’s also a nice way to incorporate parsnips into your toddler’s diet without them even noticing. This fruit and grain puree—think sweet porridge or oatmeal— includes fruit for flavor and kamut, which is an ancient strain of wheat, for complex carbohydrates and fiber. It’s an easy way to incorporate a different grain that you might not ever make at home. A little protein, a little veggies, and plenty of flavor—this stew-like pouch is a nice meal option for days when you run out of time to make a balanced dinner. The natural sweetness from the sweet potato pairs nicely with white beans and cinnamon. Think sweet potato casserole, only way healthier and with a bit of vegetarian protein. Pumpkin puree isn’t something most of us cook with (apart from in pumpkin pie, of course), so incorporating this yogurt-pumpkin blend is a good way to add some variety to your toddler’s diet. And while little ones don’t need to overload on protein, the three grams in this pouch will help yours stay fuller a little longer. Some of this may or may not be available depending on your store and the time of year. Aim for a variety, look for ones with a mix of carbohydrates and protein and ingredients that you don’t always cook yourself, and you’ll be good!